A 12-foot shark was spotted Friday afternoon just south of the Pacifica Municipal Pier, police said. Robert Handa reports. A 12-foot shark was spotted Friday afternoon just south of the Pacifica Municipal Pier, police said. The pier is along Sharp Park Beach. Police said the shark did not show any aggressive behavior. Beach goers are being told to be careful and aware of their surroundings. Additional shark sightings may be reported to the Pacifica Police Department at 650-738-7314. 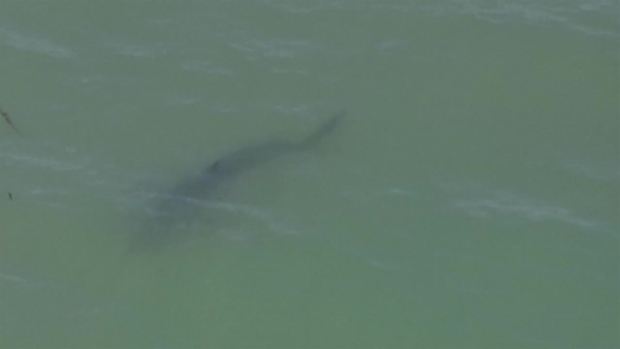 A 12-foot shark was spotted near a Pacifica pier on Friday afternoon.